On June 26, 2018, seven jawans of the Jharkhand Jaguar Force were reportedly killed and another four injured, when the cadres of the Communist Party of India-Maoist (CPI-Maoist) carried out a landmine blast and subsequently opened fire on the security personnel in the Chinjo area near a school in Khapri Mahua village under the Bhandariya Police Station in the Garhwa District of Jharkhand. While four security personnel were killed in the explosion, another two were killed in the exchange of fire that followed and still another subsequently succumbed to his injuries. Deputy Inspector General (DIG) of Police Vipul Shukla disclosed that joint teams of security personnel from the Central Reserve Police Force (CRPF), the State’s elite Jharkhand Jaguar (JJ) force and the local Police were conducting an anti-Maoists’ offensive when the incident occurred. The joint teams had launched an operation after they received information about the presence of some Maoists in the area. The Security Force (SF) personnel were returning from a Long Range Patrol (LRP) on foot, when the landmine was triggered by the Maoists, followed by the encounter. At least two INSAS (Indian Small Arms System) assault rifles have gone missing, indicating that the Maoists looted the weapons. A transition technology bridges the gap between the old and the new. Once legacy technologies and incumbent business models stop producing the desired results, a transition mode starts. However, energy technology is moving too fast for any prolonged transition mode. Its speed of development has cost the big legacy players in certain markets dearly. In Germany, for example, energy companies have always had strong backing from the government, and strong leverage through their oligopoly. So while ministers contemplated a greener future, they continued to place bets on coal and on atomic power. By 2040, renewable sources could account for as much as one-third of the world's energy needs, putting greater geopolitical focus on regions and further increasing the importance of technological and financial innovation to countries' global influence. China stands to gain the most from the rise of renewable energy, though the United States and Germany will also reap significant benefits, and India could use solar power to increase its influence among developing countries. Venezuela, the Persian Gulf states and Russia, on the other hand, stand to lose the most. Because technology and intellectual property will be essential to renewables, the shift from fossil fuels to alternative energy sources will raise the risk of cyberwars and trade conflict between states. Washington's wariness about Huawei will prevent the Chinese company from making inroads in the United States, but it will continue to expand elsewhere, including Europe. Despite pressure applied by Washington on U.S. companies to steer clear of Huawei, it will remain an important partner for giants like Google. If the United States applies pressure tactics against Huawei, Beijing could interpret the move as an attack against itself. While Chinese telecommunications company ZTE has drawn attention in the United States as questions swirl around measures that ban U.S. suppliers from selling to it, the emergence of one of its chief rivals, Huawei Technologies, has truly showcased China’s arrival as a global technological superpower. The United States is shaping policies to resist China’s increasing technological prowess, and Huawei has come to embody that progress, as well as Beijing's goal to make the country a world leader in artificial intelligence, robotics, new energy and nanotechnology by 2025. President Donald Trump on Wednesday handed a reprieve to ravenous Chinese acquirers looking for U.S. tech companies by issuing a statement that he will not put in place across-the-board rules blocking certain investments from China. On May 29, the White House in a statement promised by June 30 to “implement specific investment restrictions” barring Chinese parties from acquiring “industrially significant technology.” Instead of using authority granted by the International Emergency Economic Powers Act of 1977 to issue such investment restrictions, the president on Wednesday endorsed legislation, now working its way through Congress, expanding the authority of the Committee on Foreign Investment in the United States. CFIUS, as the Treasury-led interagency body is known, can block certain acquisitions of U.S. businesses by foreign parties. As China has built its naval power, it has relied on a variety of ideas—old and new, Eastern and Western. For U.S. military leaders seeking to understand China’s naval aspirations, certain images can bring the strategy into focus—like the crumple zones built into a modern automobile, designed to give but not fail. Exploring the context in which China is amassing sea power will help U.S. military leaders comprehend its maritime strategy, along with the forces and methods China’s People’s Liberation Army Navy (PLA Navy) and affiliated joint forces are deploying to fulfill their operational and strategic goals. Great figures from the past can guide the investigation—illuminating different aspects of Chinese strategy, operations, and tactics. China is facing a number of growing pains, but one in particular has proved more taxing than most: How can China feed its rapidly growing population as the land suitable for cultivation disappears? The country’s agriculture industry has long been rife with inefficiency, but now the government is doing something about it, ploughing billions into agricultural technology, or AgTech, as a means of maximising resources –and a raft of private-sector companies are following this lead. With the global population expected to pass 10 billion by the end of 2050, such actions are only set to become more critical with time. And if China, the world’s biggest agricultural producer, can manage to produce more with less, they can help teach the rest of the planet how to feed itself long into the future. The post Erdogan Holds On to Power in Turkey appeared first on Geopolitical Futures. Less than six months before Chhattisgarh goes to the polls, efforts have been initiated by some Left-leaning intellectuals, peace activists, non-governmental organisations and civil society and tribal leaders of Bastar to help open channels of communication between representatives of the state government and the Maoist rebels. Even before any formal and structured process to transform the bloody conflict could get underway, there is already a buzz in Chhattisgarh, especially in the troubled Bastar zone, that the BJP government under Chief Minister Raman Singh will show “interest” in any proposed dialogue till such time that Assembly elections, which are due sometime toward the end of this year, are concluded. America’s military technological advantage is eroding, which degrades the ability of the Department of Defense to counter near-peer military advancement in the joint operating environment. While the U.S. has been involved in two protracted land wars since 2001, near-peer competitors such as Russia and China have been modernizing their militaries and developing and proliferating disruptive military capabilities across the spectrum of conflict to challenge the United States’ military power. Inter-service competitive pressures and innovation by defense contractors, intertwined with the differences in innovation spending between defense contractors and technology giants, demonstrate aspects of innovation erosion, a consequence of the competing pressures to maintain the United States’ technological edge and military dominance. 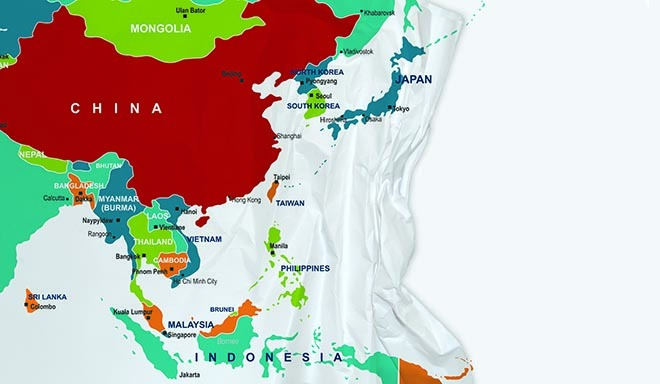 The United States may well be at the cusp of a decades-long struggle for military advantage with China, a struggle that hopefully will remain as cold as the late twentieth century struggle against the Soviet Union. But “cold” should never be misread as “static,” and the evolution of the relationship between the United States and USSR may hold lessons for how to think about the new relationship with China. Over the course of the Cold War, the balance of forces between the two antagonists changed dramatically. Sometimes dramatic technological or political changes shifted the ledger suddenly, but for the most part change came slowly. It is worthwhile to investigate how the United States and the USSR thought about different theaters across the extent of the struggle, and how the strategies and perceptions of strategies by the United States and the USSR affected the evolution of the struggle. The European migrant crisis revealed deep divisions over the issue of immigration – divisions that are particularly apparent when viewed geographically. On one side are Western European countries that are open to accepting at least some refugees, while on the other are Eastern European countries that are resisting any efforts at migrant redistribution. A brief review of recent history brings the divide into sharper focus. After World War II, Western European countries took in large numbers of non-Christian migrants, particularly from their former colonies. For example, France saw an influx of Algerians fleeing that country’s civil war, while in Britain, immigrants arrived in great numbers from the Indian subcontinent and the Caribbean. 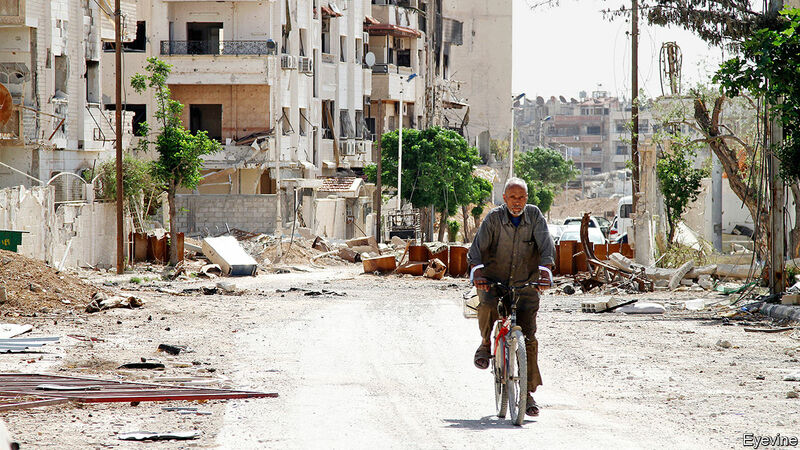 A NEW Syria is emerging from the rubble of war. In Homs, which Syrians once dubbed the “capital of the revolution” against President Bashar al-Assad, the Muslim quarter and commercial district still lie in ruins, but the Christian quarter is reviving. Churches have been lavishly restored; a large crucifix hangs over the main street. “Groom of Heaven”, proclaims a billboard featuring a photo of a Christian soldier killed in the seven-year conflict. In their sermons, Orthodox patriarchs praise Mr Assad for saving one of the world’s oldest Christian communities. What kind of a president would build a wall to keep out families dreaming of a better life? It’s a question that has been asked world over, especially after the outrage last week over migrant children at the American border. Donald Trump’s argument, one which his supporters agree with, is that the need to split parents from children at the border strengthens his case for a hardline immigration policy. Failure to patrol the border, he says, encourages tens of thousands to cross it illegally — with heartbreaking results. His opponents think he is guilty, and that his wall is a symbol of America closing in on itself. You know your laptop is filthy. You can see the dirt and grime on your keyboard. You can see that circle of skin oils on the middle of the trackpad. So when’s the last time you cleaned it? Using a freshly cleaned laptop is almost as satisfying as getting a brand new one. The keys are clean, the screen is free of smudges and you fall in love with that three-year-old MacBook all over again. It’s also a useful skill if you buy or sell used laptops, since the previous owner doesn’t always leave them in pristine condition. B.A. Friedman: The whole book is an attempt to answer that question. Everyone learns and evaluates information differently, but a common set of basics is essential for any school of knowledge. Tactics is no different. Some of that integration happens just through consumption but I think it’s important to have a plan of organization beforehand, and that’s what theory does. If you have a basic idea of what war is and is not, everything you learn about it thereafter either fits in with your cognitive framework or it doesn’t—at which point you need to expand your framework. Some doctrine attempts to serve as a foundation, like MCDP-1 Warfighting, but most tacticians are going to put far more focus into the doctrine pertaining to their specific job (and rightly so). While Thucydides may not have predicted smartphones or the Internet of Things, the Athenian general’s theories are still relevant in the age of cyber. The digital technologies rapidly changing our planet certainly raise compelling and difficult questions—around such issues as proportionality, attribution, and deterrence—but that doesn’t mean old principles are useless. These are not revolutionary nor novel statements—not by any means. But these ideas are at the crux of Thucydides’ three principles, and they still have important strategic value. While his writings were about battles fought with spears and swords, we can still leverage his views of honor, fear, and interest to better understand cyber conflict. In recent weeks, two events demonstrated the promise of and concern over the growing use of artificial intelligence (AI). At the #AI4Good Summit in Geneva, attendees reviewed the many ways AI can help humanity in medicine, education, economic and law enforcement applications, to name a few. UPDATED with expert analysis WASHINGTON: The Pentagon has created a new Joint Artificial Intelligence Center (JAIC) that will have oversight over almost all service and defense agency AI efforts. This coordination function is crucial to the emerging AI arms race with Russia and China, experts told us. The JAIC will report to Chief Information Officer Dana Deasy, the establishing memo by Deputy Defense Secretary Patrick Shanahan says. Its ambit is not quite untrammeled; any projects under $15 million remain the authority of the service or agency. The JAIC will establish a common set of AI “standards…. tools, shared data, reusable technology, processes, and expertise” for the whole Defense Department, according to the June 27 memo. CYBER MAVEN: When and How Should the US Launch “Offensive” Cyberattacks? Can Congress salvage a broken cyber strategy? A cyberspace ambassador. An exchange program between government and private security experts. A cyber blue-ribbon commission based on nuclear age strategy. These are among the scattershot of proposals that Congress has considered this week as lawmakers attempt to articulate a national cybersecurity strategy in the face of continued digital hostility from Russia and China. 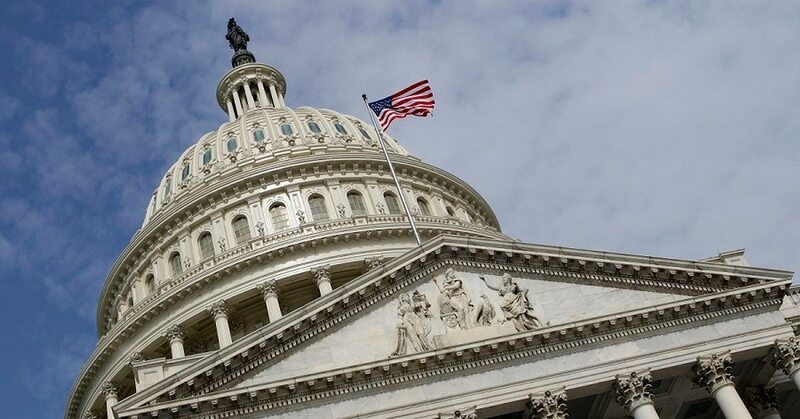 Amid a barrage of recent criticism leveled at both the Trump and Obama administrations for a cybersecurity policy that is either entirely absent or timid, the proposed legislation is sending a message: America needs a plan. Yet in comparison to the crisp Chinese five-year plans and Russian digital assaults, the cyber plan forged by Congress appears increasingly scattershot to analysts. This year it is 70 years since the United Nations Security Council established the first UN peacekeeping operation. On 29 May 1948 it authorized the deployment of military observers to supervise a cessation of hostilities in the First Arab–Israeli War and to support Count Folke Bernadotte in his role as UN mediator. This mission became known as the UN Truce Supervision Organization (UNTSO). While the tenure of the first UN mediator was tragically cut short—he was assassinated in Jerusalem in September 1948—UNTSO remains in place today. The Stockholm International Peace Research Institute (SIPRI) recently released new data on deployments and fatalities in multilateral peace operations when it launched the 2018 edition of the SIPRI Yearbook. When it comes to political orientation, worldview, life experience, and temperament, the past three presidents of the United States could hardly be more different. Yet each ended up devoting much of his tenure to the same goal: countering terrorism. Upon entering office, President George W. Bush initially downplayed the terrorist threat, casting aside warnings from the outgoing administration about al Qaeda plots. But in the wake of the 9/11 attacks, his presidency came to be defined by what his administration termed “the global war on terrorism,” an undertaking that involved the torture of detainees, the incarceration of suspects in “black sites” and at a prison camp in Guantánamo Bay, the warrantless surveillance of U.S. citizens, and prolonged and costly military campaigns in Afghanistan and Iraq. Hosted by the US Navy’s Pacific Fleet and due to get under way on 27 June, this year's Rim of the Pacific (RIMPAC), exercise is notable, so far, for the fact that the US has disinvited the People’s Liberation Army Navy (PLAN). Routinely dubbed ‘the world’s largest international maritime exercise’, RIMPAC 2018 will be the 26th in the series of biennial naval manoeuvres. In broad terms, this year’s event is on a par with two years ago – 26 participating nations, 47 surface ships, five submarines, more than 200 aircraft and 25,000 personnel. But a look behind the numbers reveals real differences.